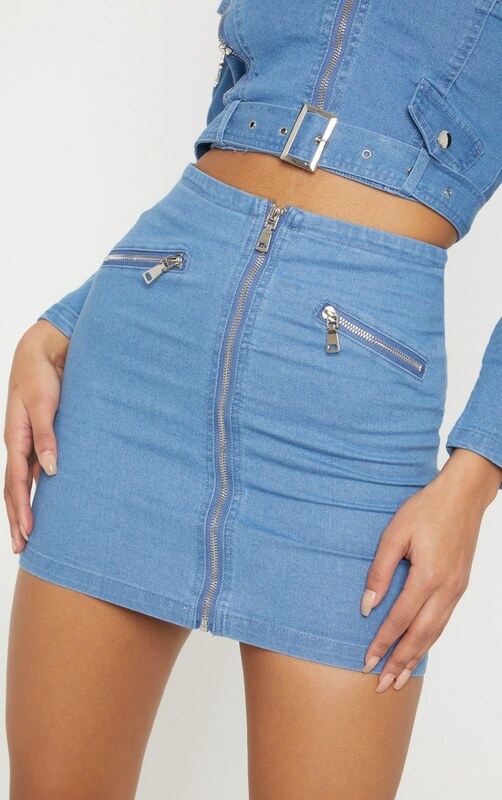 Update your denim collection with this killer mini skirt. Featuring a mid wash denim fabric with a zip detail and figure-skimming fit, what's not to love? 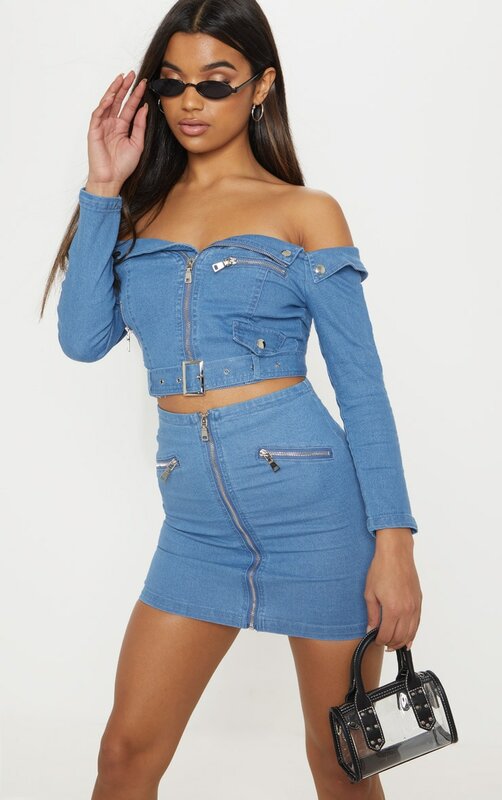 Style with the matching denim crop top and barely there heels for a look we're obsessing over.